With Sony having gotten in ahead of Microsoft in announcing its next-gen PlayStation 4 console all the way back in February, it was only going to be a matter of time before the Redmond company responded with a significant announcement of its own. 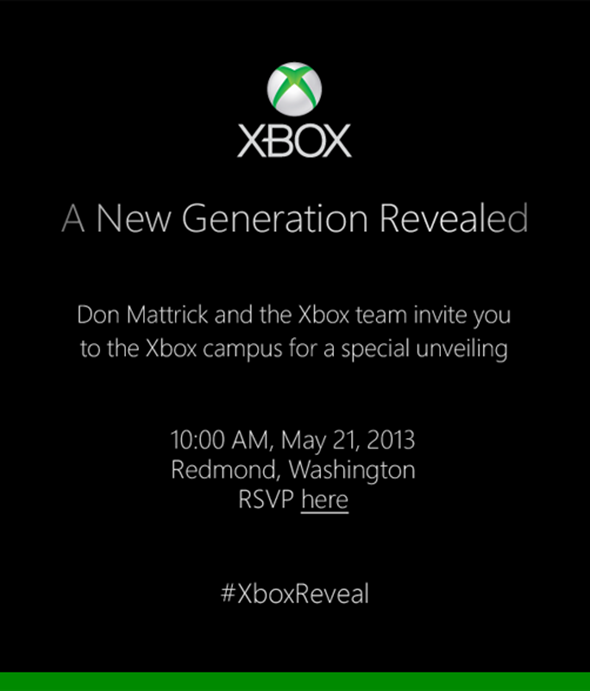 Today, the software maker has sent out media invitations to an event on May 21st, 2013 at the Redmond HQ, and as you’ll see from an image of the invitation posted below, there’s little doubt as to what the main topic of conversation will be. On the same day that saw Apple confirm a key date in its calendar by revealing the details of this year’s WWDC, Microsoft has revealed that Don Mattrick and the Xbox team will be making the announcement in an invitation entitled “a new generation revealed.” The date ties in with previous reports which suggested a pre-E3 event on May 21st would bring forth the next-gen Xbox announcement, but it’s certainly better to have written confirmation straight from the horse’s mouth. One has to hope, given the veil of secrecy surrounding the PlayStation 4, Microsoft is a little bit more open with regards to how much it decides to show and tell next month. Aside from a shot of the controller, some of the key details and a ballpark release date, the Japanese outfit kept much under wraps, and it will be intriguing to see if the company behind its biggest competitor will follow suit. The console is largely suspected to be called the Xbox 720, and although many of the early mutterings have concerned the likely lack of backwards compatibility and suggestions of games requiring “always-on” connections, one hopes these controversial, divisive subjects won’t detract from the rest of the announcement. 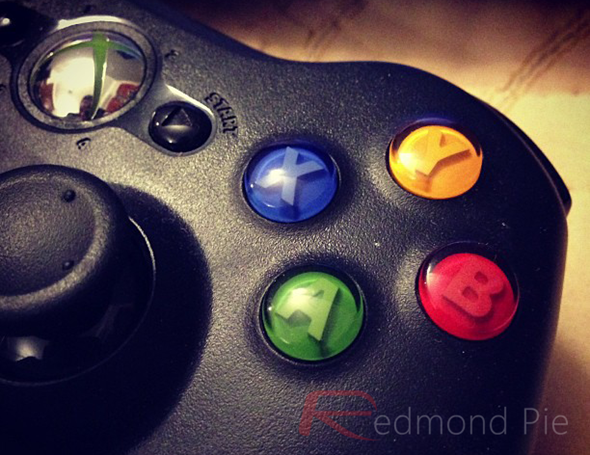 The Xbox 360 is almost eight years old, and for those who’ve spent much of that duration waiting on Microsoft to bring newer, more advanced hardware to the fold, the wait is almost over. The console itself will almost certainly release later on this year, in time for the holiday season and at around the same time Sony drops the PS4. We’ll keep you updated on any further reports pertaining the upcoming console / announcement, so stay tuned to our coverage here at Redmond Pie!